The Waverly Gallery, the acclaimed 1999 Pulitzer-finalist play by Oscar winner Kenneth Lonergan, opens its first Broadway engagement on October 25 at the Golden Theatre. Obie winner Lila Neugebauer directs the production, which began previews on September 25. The cast is led by Oscar nominee Elaine May—making her first appearance on a Broadway stage in five decades—alongside Oscar nominee Lucas Hedges, Tony nominee Michael Cera, Tony winner Joan Allen and Tony winner David Cromer. The Waverly Gallery centers on the final years of a generous, chatty and feisty grandmother's battle against Alzheimer's disease. Gladys (May) is an old-school lefty and social activist and longtime owner of a small art gallery in Greenwich Village. The play explores her fight to retain her independence and the subsequent effect of her decline on her family, especially her grandson (Hedges). 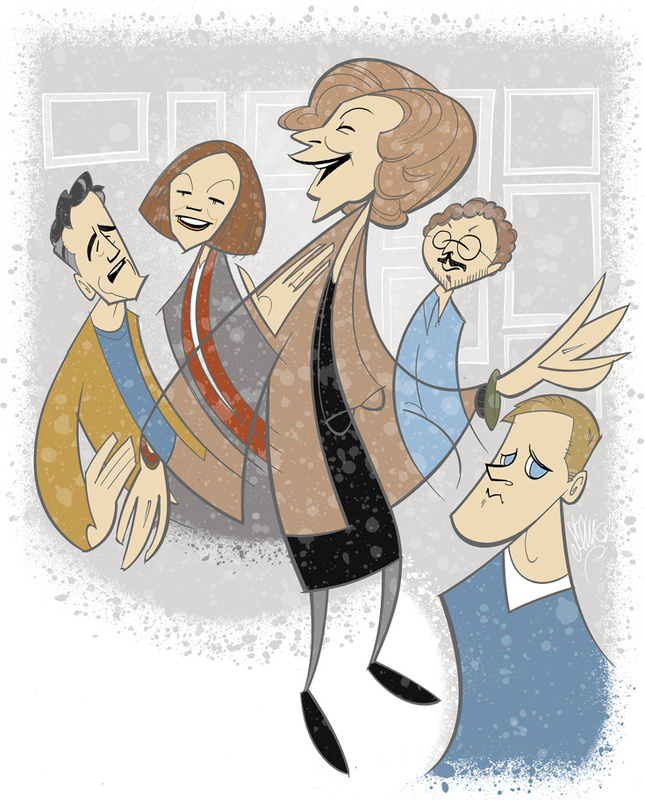 To celebrate opening night, Broadway.com Resident Artist Justin "Squigs" Robertson sketched a portrait showing the play's five-person cast of stars introducing a classic play to modern Broadway crowds.